Mr. Guild was a founding Senior Member for The Cavanagh Law Firm since its inception in 1999, and started his career with O’Connor Cavanagh in 1981. Mr. Guild is a Certified Tax Specialist and holds a Masters in Law in Taxation. Over the past 35+ years he has focused primarily on estate planning, general commercial work entailing all manner of federal income tax issues, and state and local tax controversy work. He has handled more than 250 tax controversy matters, including administrative hearings, litigation in the Arizona Tax Court, the Arizona Court of Appeals, and the Arizona Supreme Court, collection negotiations and lobbying efforts. He also has extensive experience in setting up homebuilder clients in the two-tier homebuilder technique mode. Mr. Guild handles financial and commercial aspects associated with complex divorce matters, as well as being a qualified domestic relations order specialist. He also has an extensive general business background, including the formation of entities, corporate reorganizations, merger-acquisitions, family-owned businesses, and the preparation of buy-sell agreements, employment contracts and succession planning. Active in the community, he has served two terms as the President of the Boys and Girls Clubs of Metropolitan Phoenix Foundation, and has served as a Trustee of the Foundation for more than 25 years. 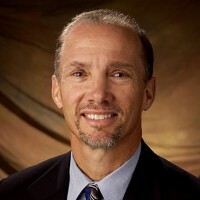 On September 1, 2012, Peter Guild assumed the role of Board Chair of the Boys and Girls Club of Metropolitan Phoenix Foundation.